But before you grab your festival attire and vinyls, there’s one glaring misconception we need to clear up before we get into the nutritional benefits of hemp (they do exist!). Hemp and marijuana are both Cannabis plants. But that’s really where their similarities end. Think of hemp as the harder working brother of marijuana. 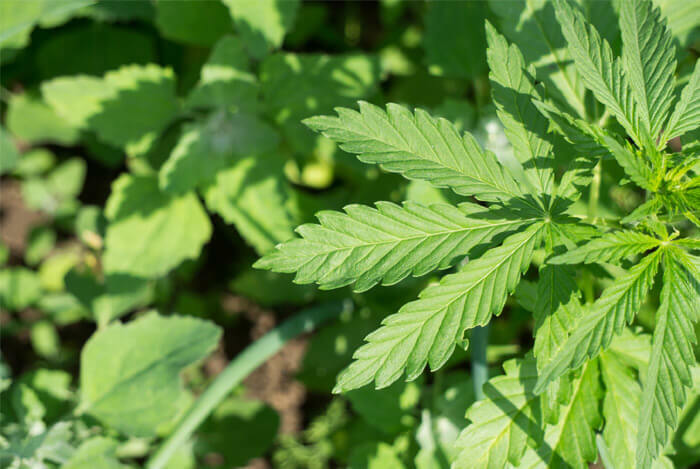 While marijuana’s psychotropic chemical tetrahydrocannabinol (THC) will get you high, hemp holds down a more straight-laced job in the industrial world. Hemp is a high-growing plant with sturdy fibers perfect for making rope, fiber, and paper. Hemp is extremely low in THC, which is why eating hemp products won’t get you stoned or make you binge on munchies. Hemp is so versatile it can be added to your diet in four separate ways. Hemp seeds have been illegal in some countries (due to their relation to marijuana), so they’re often sold as sterilized seeds. Bummer, you can’t plant a hemp garden in your backyard. 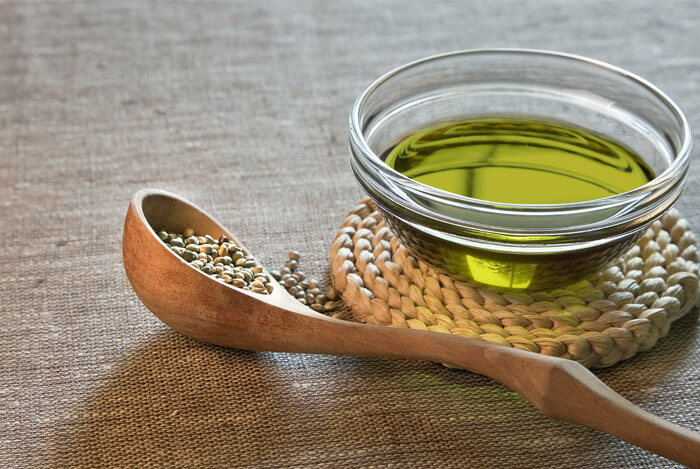 While sterilizing does damage some of the hemp seed oil, it doesn’t affect the fiber and protein content. Speaking of fiber, you know how whole grain breads are better for you and have more fiber than processed and bleached white flour breads? Well, the same can be said for hemp seeds. Hemp seeds in their hard shells are crunchy sources of insoluble fiber. So if you’re looking to add more delicious fiber to your diet, crunch on hemp seeds in their shells. I prefer shelled hemp seeds not only because they taste better, but because they have higher protein levels than their unshelled version. 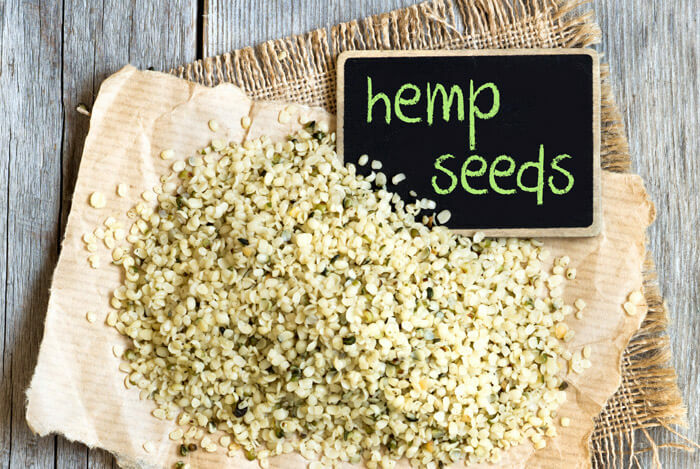 One ounce (or 2 tablespoons) of hemp seeds contains 10 g of protein! 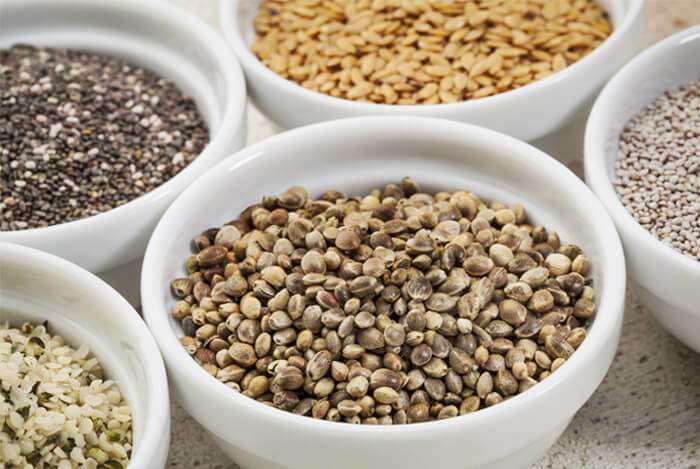 Hemp seeds without their shells go by names such as hulled hemp seed, hemp hearts, shelled hemp, and even hemp nut (though it’s not a nut at all). The hemp heart is a soft seed with a delicate, nutty flavor similar to pine nuts. My favorite ways to eat them are sprinkled in my Greek yogurt parfaits, topping my overnight oats, and added to almond butter dipped apples. 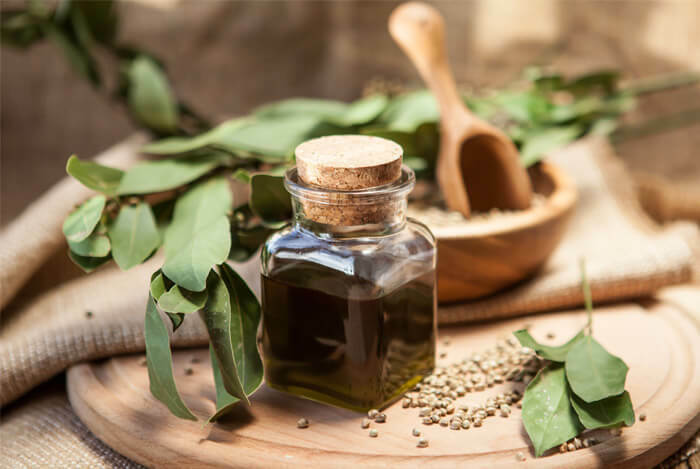 Oil made from pressed hemp seeds is high in EFAs. These “good fats” come from long chain polyunsaturated fats. However, these polyunsaturated fats have relatively low smoke points (lower than olive oil, but higher than flax), which means they can oxidize at high temperatures – something you don’t want. I wouldn’t cook with hemp seed oil, but it makes a delicious nutty oil for salad dressings. Tip: keep your hemp seed oil in the fridge to prevent oxidation. If you’re vegan or vegetarian you probably know all about hemp protein. 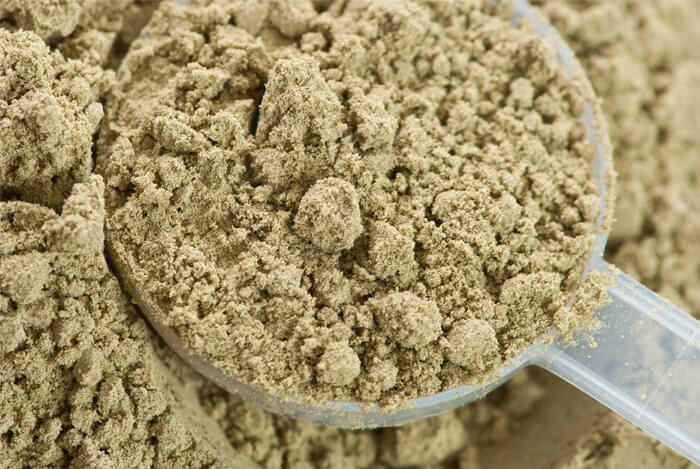 Hemp protein is made from the leftovers of hemp seed oil pressings. If there’s less than 35% protein listed on your powdered hemp product, it constitutes hemp flour instead of hemp protein because there’s more fiber than protein. Anything over 35% is considered hemp protein, which is what you want because hemp is a complete protein that contains all of our essential amino acids. 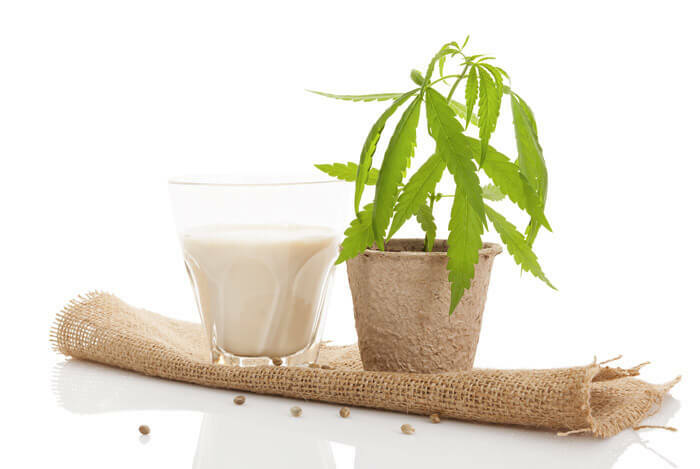 Unlike whey, there are absolutely no animal products or lactose in hemp protein, which makes it a decent option for vegans. Here are some benefits of hemp seeds. DHA and EPA have been proven to lower triglycerides, which is a fat in our blood. Elevated triglycerides have been linked to high cholesterol and heart disease. Whole hemp seed can be up to 25% straight protein. Like I mentioned before, one ounce (2 tablespoons) of hemp seeds contains 10 g of protein. 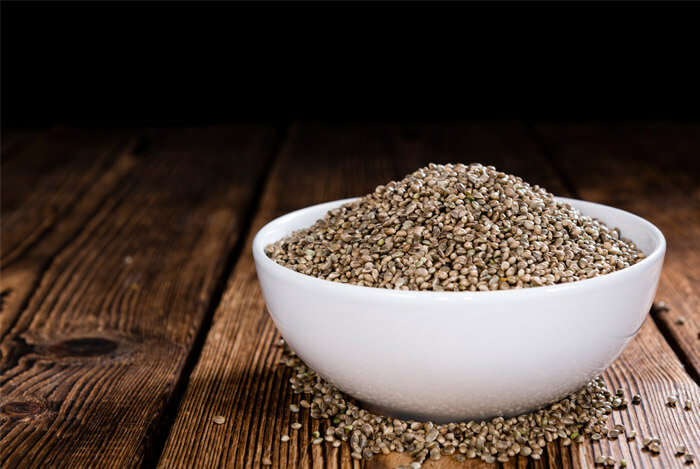 Hemp seeds have more protein per ounce than both chia seeds (4.7 g) and flax seeds (5.1 g). Bonus: hemp seeds are a high quality protein for vegetarians and vegans. Now, I’m not talking about expensive brands being high quality. Protein quality is based on the concentration of amino acids. As we know, hemp’s amino acid record is stellar. How is this efficiency measured? Well, one measurement known as the protein digestibility-corrected amino acid (PDCAA) score, is based on the digestibility of each chosen protein source. There are many non-dairy milks on the market these days, but they all have their downsides. Vegans and lactose-intolerant people can’t have dairy milk. If you’re allergic to tree nuts you have to stay away from almond milk. Have a soy allergy? That knocks out soy milk for you. Hemp milk is a fine alternative. The recommended daily dose of magnesium is 300-400 mg, depending on age and gender. 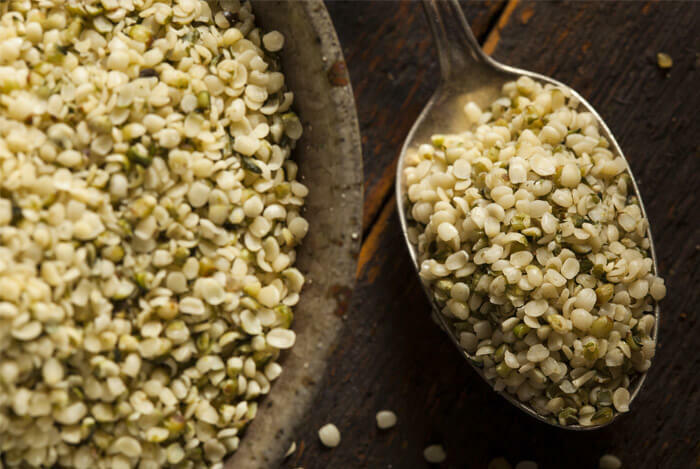 One ounce (2 tablespoons) of hemp seeds has 179 mg of magnesium, which equals roughly 45% of your DV. Although I’ve written about chia seeds more times than I can count, I actually prefer hemp seeds if we’re speaking strictly about taste. If you’re looking for a delicious way to get more healthy benefits from superseeds, pick up a bag of hemp hearts. Try a tablespoon right out of the package. What’s your take on hemp seeds? Have anything else you’d like to share? Let me know in the comments below!